In life, as great men come and go, we sometimes take it upon ourselves to erect monuments in their honour so we never forget them. While some people like Abraham Lincoln get something simple and outstanding, some people are not as fortunate. Here are some of the creepiest monuments erected to honour great men. 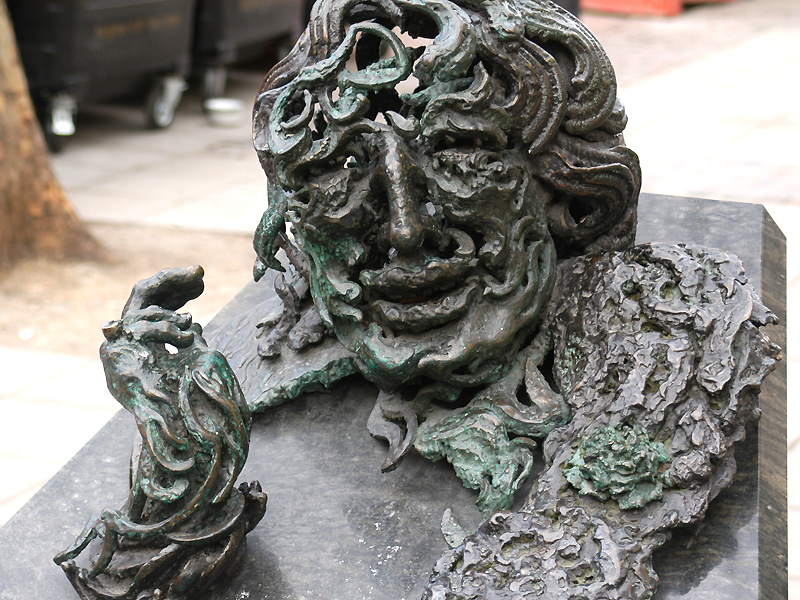 In memory of the amazing playwright, poet and novelist Oscar Wilde, Maggie Hambling created a masterpiece called A Conversation With Oscar Wilde. The unique thing about this piece is that it looks like a dismembered head with mangled features sticking out of a badly made coffin. The great Martin Luther King Jr. has been idolised in numerous places over the years. But, this particular monument in Toledo, Ohio has its rightful place on this list. 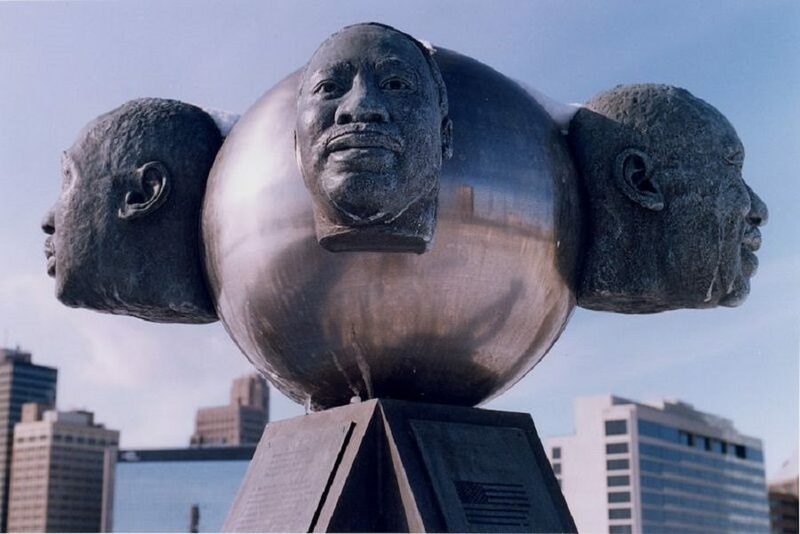 The monument has four dismembered Martin Luther King Jr. heads glued around a globe. These heads also feature the icon with blank stares and deadpan facial expressions. The strangest thing about this monument is that James Dean himself commissioned it. The monument stands at a site in Los Angeles where several scenes of his blockbuster Rebel Without A Cause was filmed. The monument portrays a depressed looking James Dean. This is probably because artist Kenneth Kendall started working on the sculpture on the night of the actor’s death. 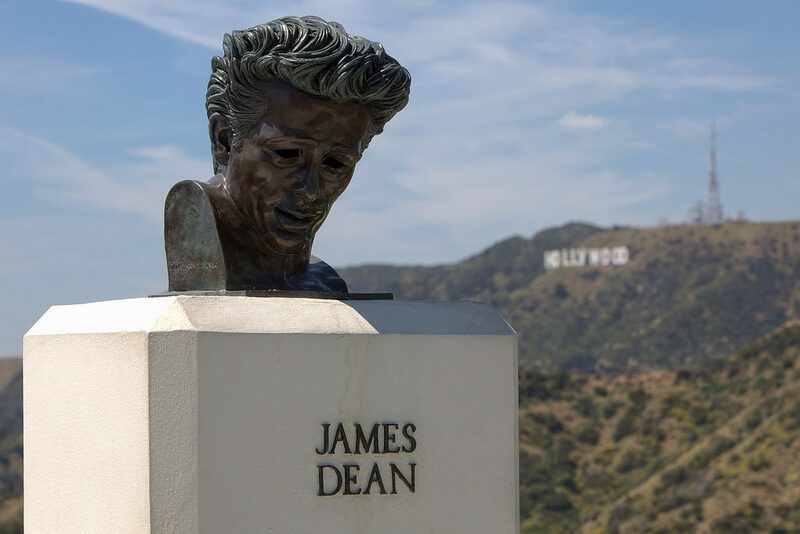 The sculpture was donated to the to the Griffith Observatory in 1988, 33 years after the death of James Dean and was responsible for erecting it at the movie site. This statue’s place on this list is a mystery because it looks very colourful and happy. Sadly, not a lot of people shared this opinion as it stirred a lot of controversy for being ‘really creepy’. 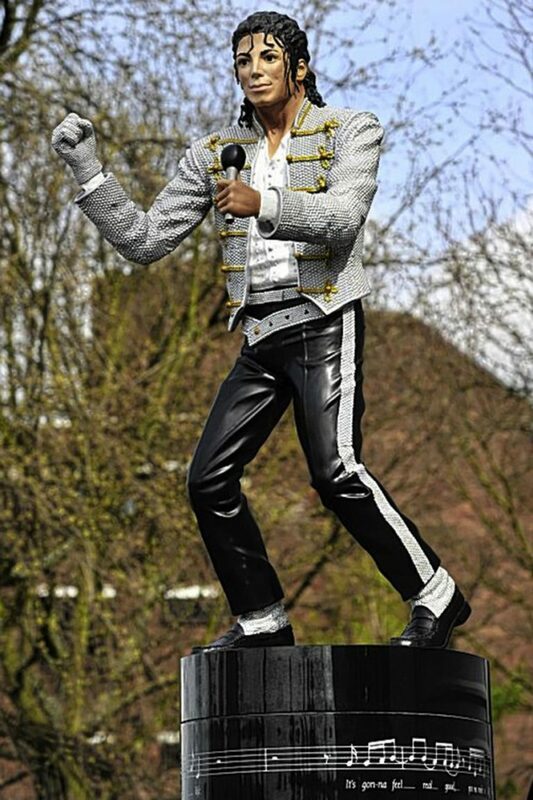 The statue stood outside the Fulham Football Team’s Craven Cottage stadium. It was taken down in 2013 by American businessman Shahid Khan and returned to the previous owner. In his hometown, Aberdeen, Washington, February 20th is tagged ‘Kurt Cobain Day’ to celebrate what would have been the late rock singer’s birthday. 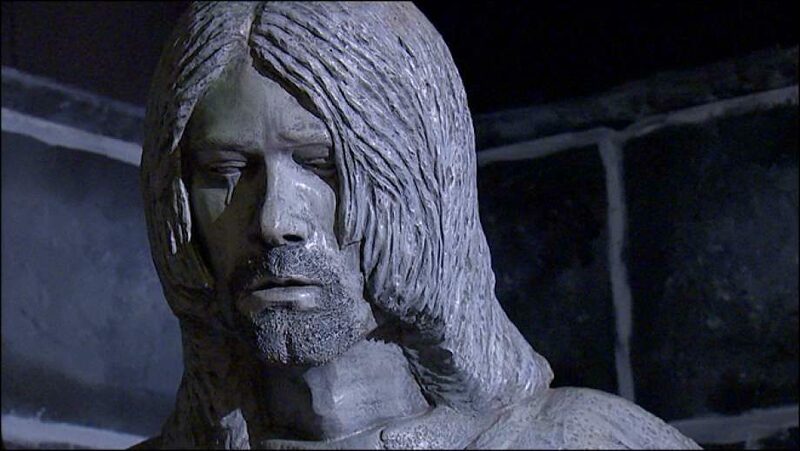 In 2014, a statue was unveiled on Kurt Cobain Day by artist Randi Hubbard, who began work on the statue in 1994 shortly after the singer’s death. The statue shows Cobain sitting and looking sober as a single tear drops from one eye.